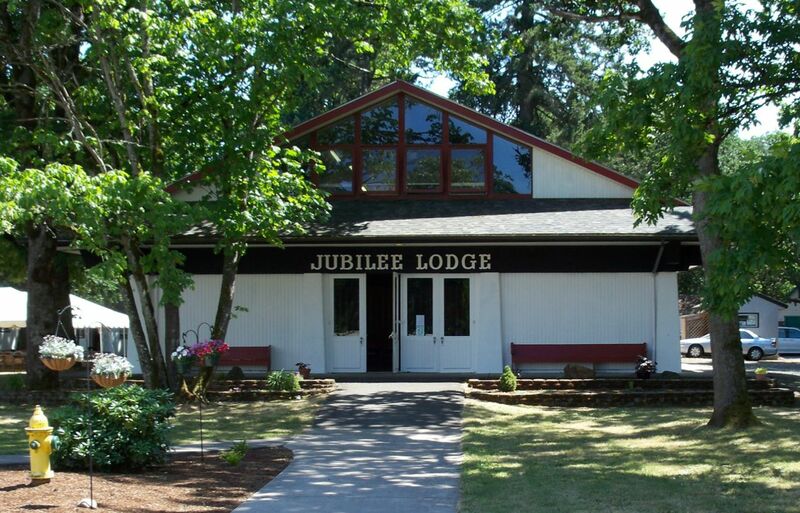 Jubilee Lodge is a large, two story building. The ground floor includes a large dining/meeting area that can be divided, a full commercial kitchen with large walk-in coolers, a coffee/tea kiosk, restrooms, and a comfy sitting area. The second floor has two dorms (men’s and women’s) with 12 bunk beds and restrooms in each dorm. The second floor also has a full two bedroom apartment which can be rented separately. It has a kitchen, bathroom, and a large living/dining room.